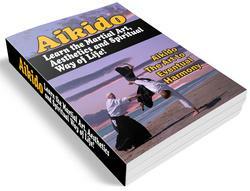 In Aikido tenkan techniques, the competitive or hesitant uke (who knows what's coming) may pull back. 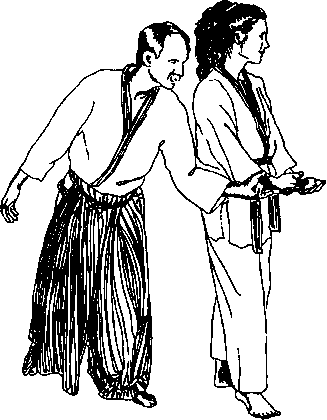 While the experienced nage knows to switch into an entering (irimi) technique, a beginner may valiantly attempt to drag the resisting uke around in a circle. Nage extends a wrist and stands with One-Point. 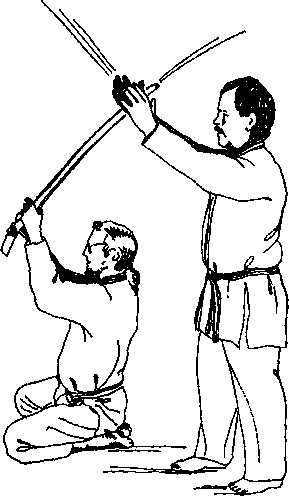 Uke takes the wrist and pushes nage around in a circle. A strange feeling? This is how it should feel. When true serenity is gained, To bow and to bend we will not be ashamed. To turn and to turn then will be our delight, Till by turning, turning, we come 'round right.